This loco, B.R. 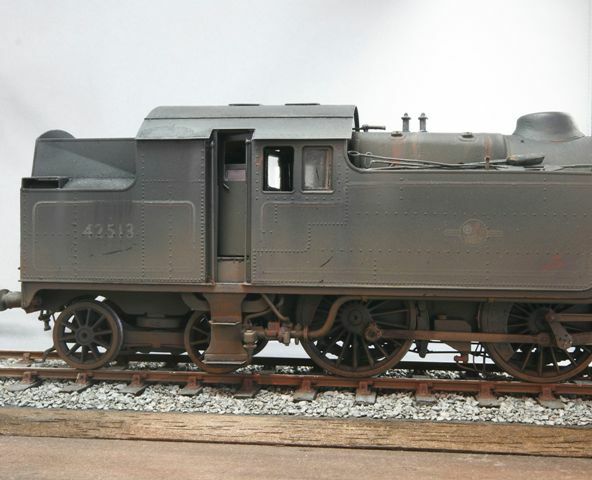 42513, was semi-scratch built, to S7 standards using an ex- Chowbent kit for the 2 cyl 2-6-4t. 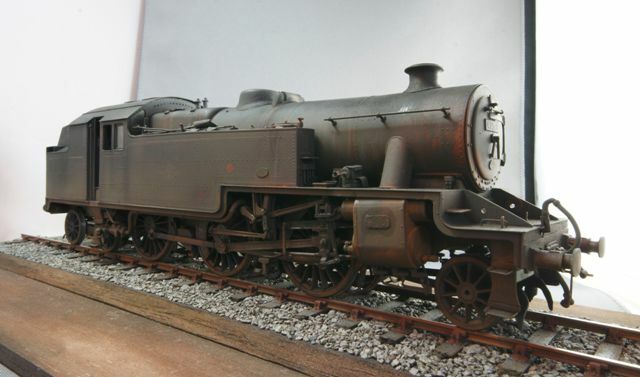 This mainly consisted of new frame spacers, cab/tank side sheets, cylinders, motion plate, slide bars and of course the inside motion and crank axle. 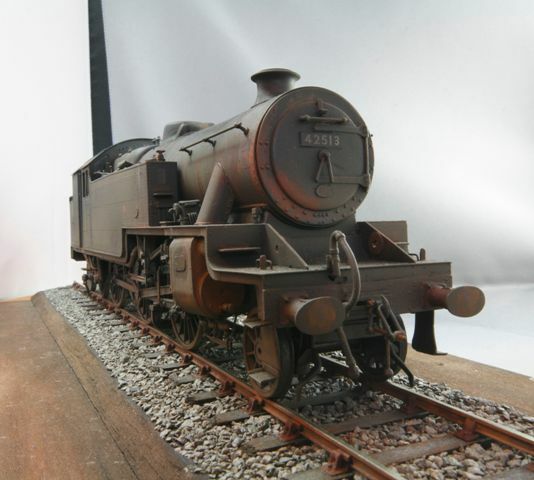 My customer saw these loco’s in their very last days on the Fenchurch St.-Shoeburyness line before it was converted to electric traction and he remembers that they were in a very unkempt and filthy condition, and that’s how he wanted this loco portrayed. Photo’s by Heather Kavanaugh S7 Group.